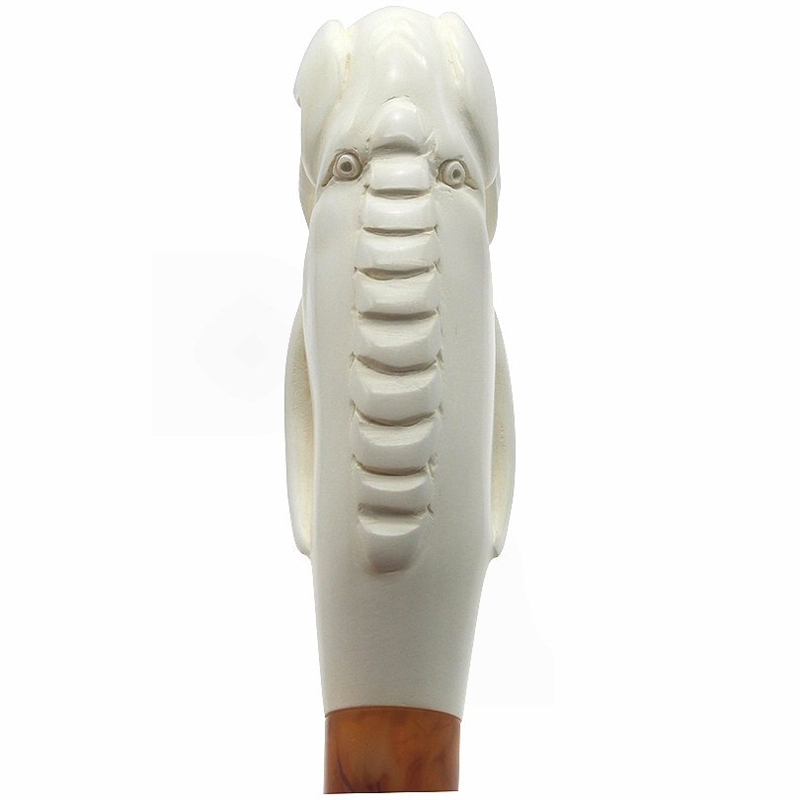 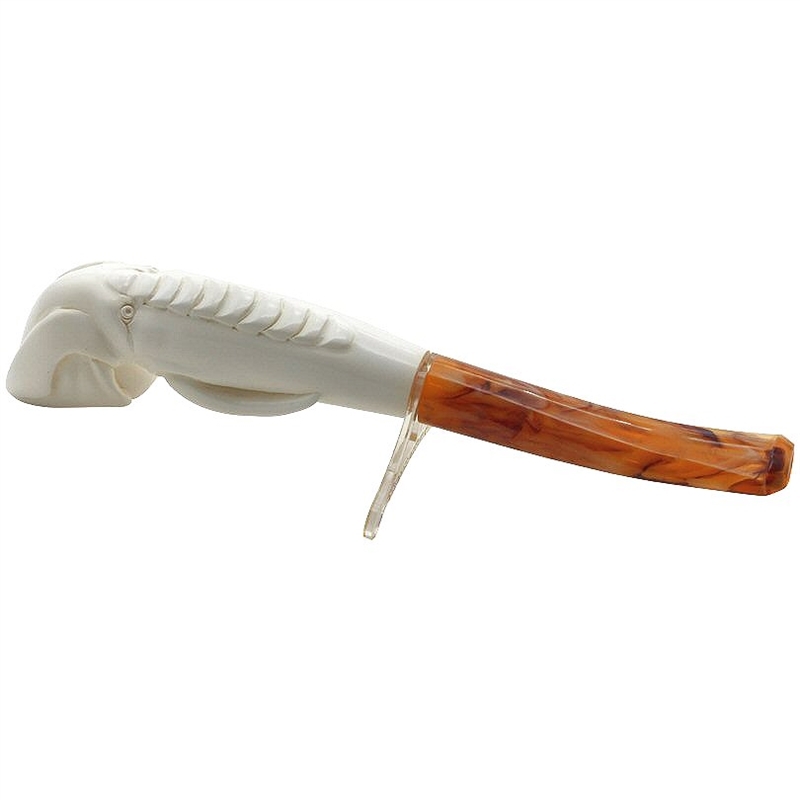 Deluxe Hand Carved Elephant Meerschaum Pipe - The smoothly carved tusks and lengthy trunk on this elephant pipe act as an extra long shank allowing the tobacco smoke to cool down as it travels through the stem piece. 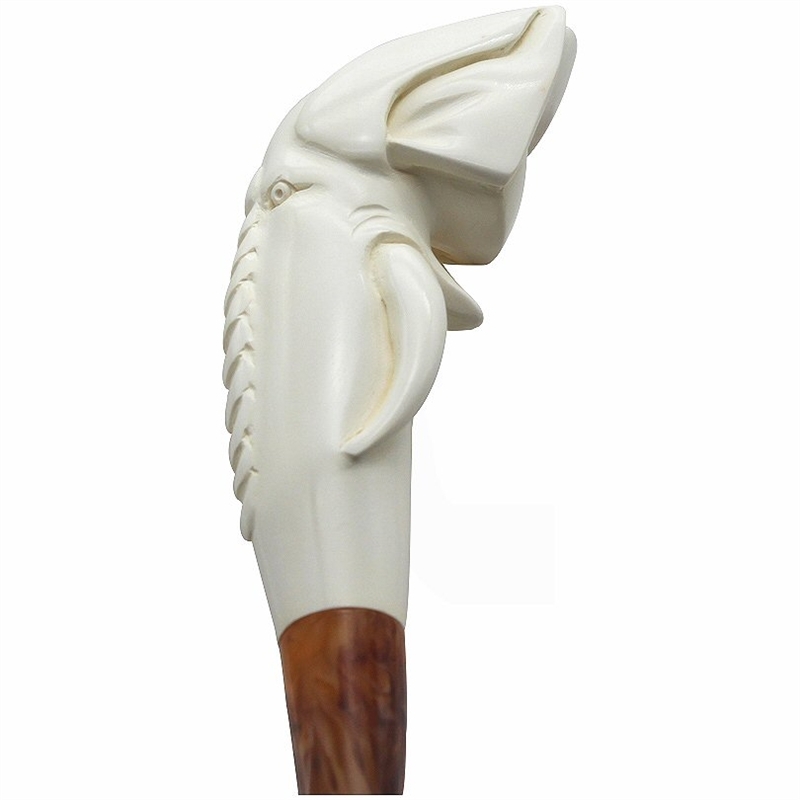 The elephant ears surround the sides of the smaller sized pipe bowl. 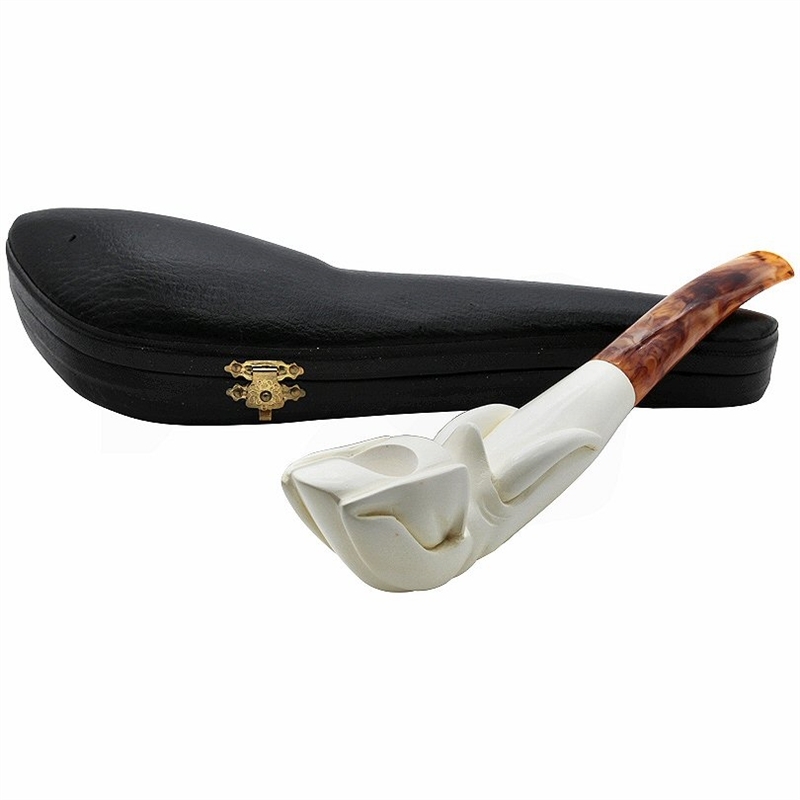 An unusual pipe with a nicely polished finish and feel.